If you like videos of jugglers who take requests from the web, "Will It Juggle?" is for you. 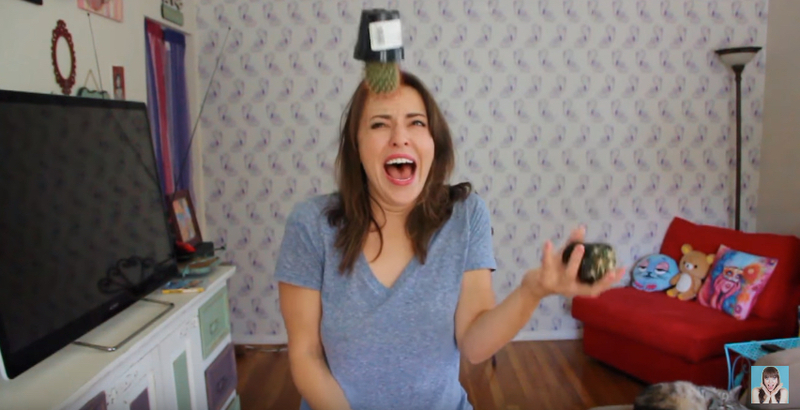 Watch Olga Kay oblige a request to juggle three cacti. Olga started her career in a Russian circus and later came to to the United States with Ringling Brothers Circus. Check out her channel for other juggling requests. What a difference 10 minutes a day makes. This man wanted to learn how to juggle, so he practiced for 10 minutes every day for 30 days. This comparison video shows us how far he progressed from Day 1 to Day 30.